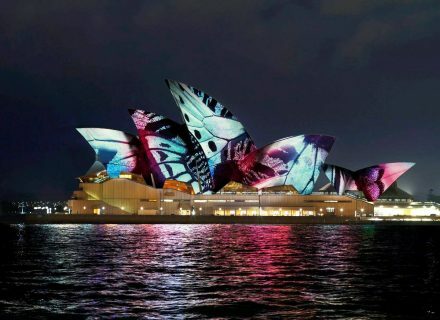 VividLIVE at the Sydney Opera House is part of the city’s annual Vivid Sydney festival of light, music and ideas. Vivid Sydney celebrates the city as a leader in the field of the creative and cultural industries both nationally and throughout the region. 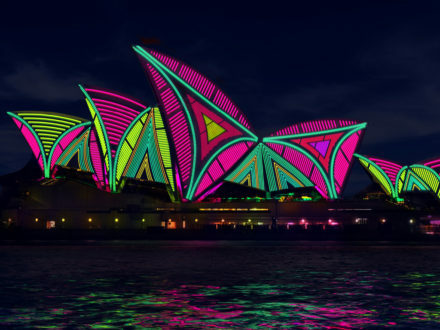 Each year, VividLIVE seeks out different artists or individuals to curate a program of events in and around the world’s most iconic venue. This year local music industry legend Stephen ‘Pav’ Pavlovic, founder of the hugely successful Sydney-based record label, touring company and international brand Modular, brings fresh Australian eyes to this growing international festival. Pav is widely regarded as one of the gutsiest promoters in the country, a risk-taker whose choices are repeatedly vindicated. 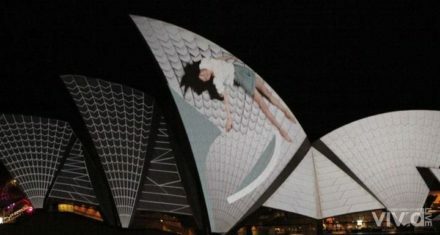 First Brian Eno, then Laurie Anderson took on the task of making Australia’s greatest work of architecture into its largest canvas, making for images of beauty and surprise that are beamed the world over. 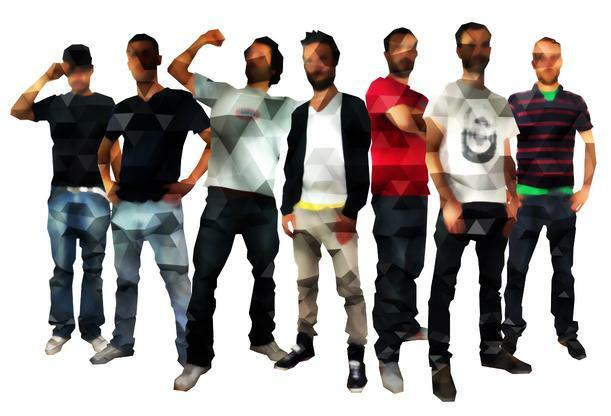 For the Vivid LIVE festival in 2011, curator Stephen Pavlovic has selected Superbien an extraordinary team from France, who will push the concept further than it has ever been taken before. A multi-disciplined, multi-talented art & design collective, Superbien create sumptuous environments of animation, photography, light, space and graphic design through Europe and the United States. 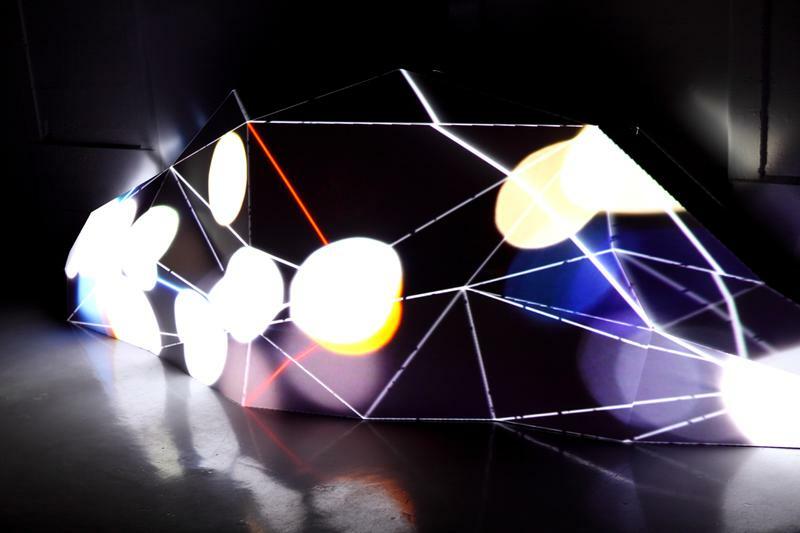 Unique and compelling, each of their creations is an immersive experience tailored to the site and the mission – seamlessly integrating every possible technique into new forms of multimedia expression. Their work is featured everywhere, from Kanye West’s blog to Dior’s latest launch, work so compelling that it’s transmitted virally at speeds approaching the light from which it’s made. These young, innovative, restless perfectionists are the ideal embodiment of the spirit of Vivid LIVE in 2011. 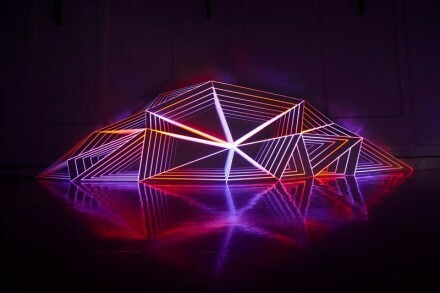 Having refined the art of projecting beautiful 3D images onto complex surfaces, they will bring their skills to bear on the ultimate artistic and technical challenge; the sophisticated organic geometries of Utzon’s world-famous building. 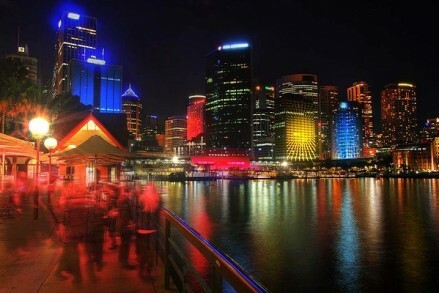 From 27 May till 14 June 2011, Vivid Sydney lights up the city of Sydney for the third year in a row. Launched in 2009, this festival colours the city with fabulous shows of light, music and ideas. And of course, the sails of the Opera House will be part of the tableau. This year, it is the French collective SUPERBIEN who hit the jackpot. “It’s an honour to work on this iconic monument”, says Thomas Chosson, one of the founders of the French collective of artists. They were selected by festival curator Stephen Pavlovic for the experimental nature of their work. 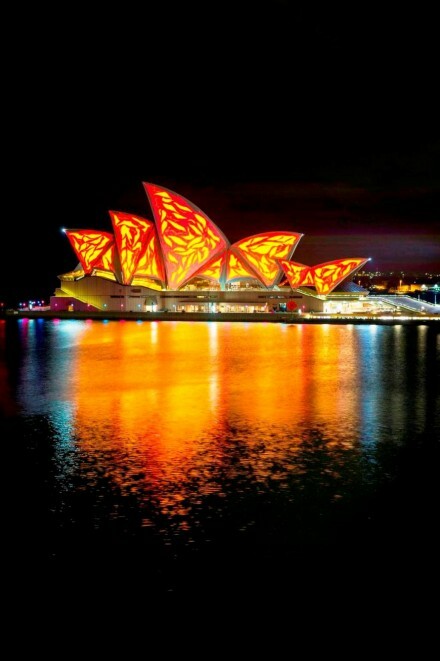 These artists will transform the Opera House using 3D image mapping, a cutting edge technology. 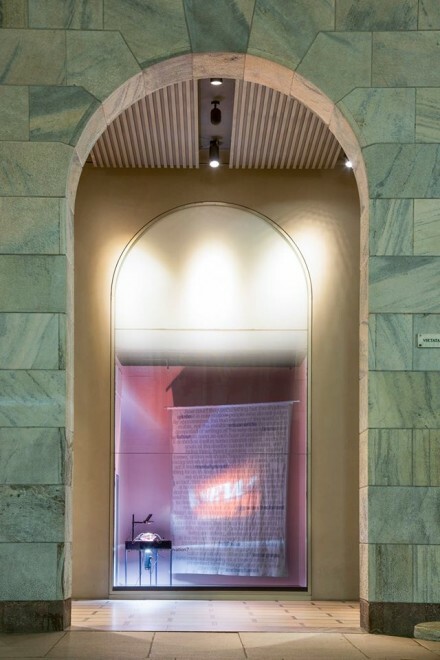 Rita Orsini, of Contemporary Programs at the Powerhouse Museum, had the pleasure of speaking to Thomas Chosson. He told her how SUPERBIEN was selected for the Lighting the Sails project, its scope, their work, their vision, the challenges, and the thrill to be working for Vivid LIVE. All with a keen and contagious enthusiasm. On the Vivid Sydney website, SUPERBIEN is described as a ‘French art and design collective, multi-talented, multi-disciplined perfectionists’. Are you described in the same way in France? Yes, kind of. We always find it a bit hard to describe ourselves. But it’s true, there are a few of us working in this studio and we come from different backgrounds: design, illustration, graphic design, video. I started the agency with my colleague Alex in 2007 and then we expanded the business and we are now six people working together. You complement each other, in a way? Yes, that’s right. Complement and cross-over. It’s quite good and enriching, since we come from different backgrounds. Your name SUPERBIEN means ‘super good’ in French. And you write it in capital letters. Can you explain? When I started with my colleague Alex, we were looking for a business name. We quickly realised that finding a name for others is not hard. But finding a name for oneself is very difficult. Moreover, all the names we liked were already taken. So we started thinking about expressions, onomatopoeia. And that’s how the name came about. We thought SUPERBIEN (supergood) would be fun… if taken with a pinch of salt. It’s so over the top to be called SUPERBIEN that we agreed it was good. So we can say SUPERBIEN, it’s super good. 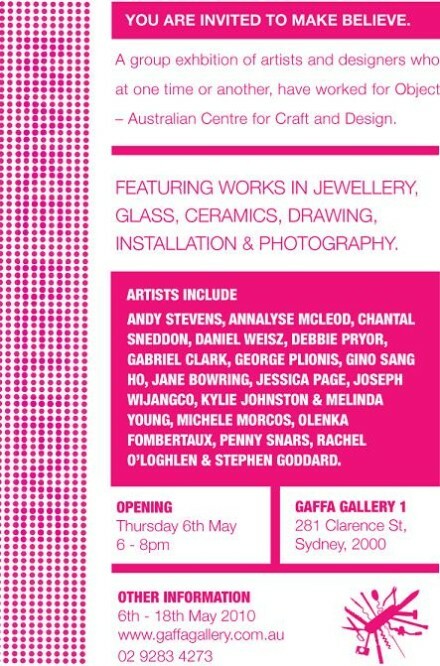 And you are referred to as ‘perfectionists’ in Sydney, do you agree with that? Above all , we are a commercial entity. Hence we have to be perfectionist. We have clients, they are demanding so it seems quite natural. 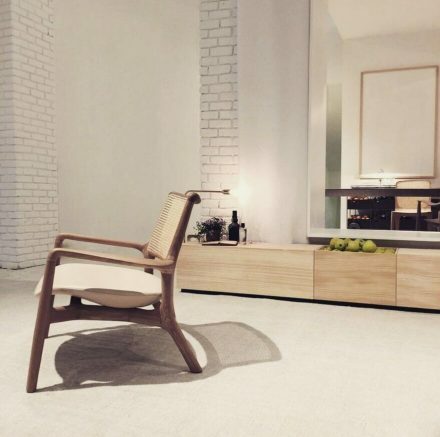 We always try to go one step beyond, with each project and the allocated time. 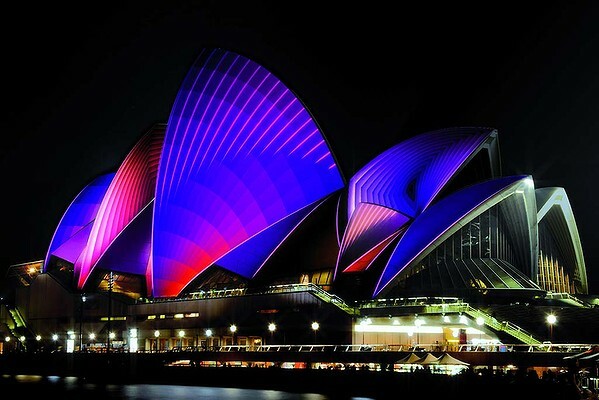 The Sydney Opera House project was something new for us, because usually we have a client with a problem, an established brand and an expectation. We always try to adapt and contribute our ideas. But here, it was quite different. You had carte blanche, and total freedom? So you didn’t have to come to Sydney. Did all the discussion happen electronically? I did come to Sydney end of March and met Stephen Pavlovic of Vivid LIVE and the people from the Opera House. 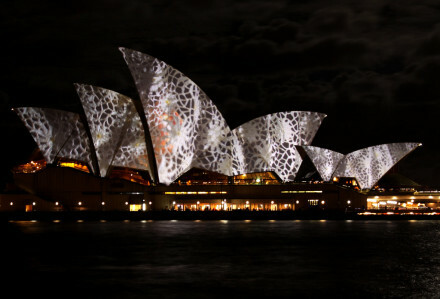 We were lucky because the YouTube Symphony was on at the Opera House and there were projections on the sails. We could experience the reality of it, the size and the scope of the project. 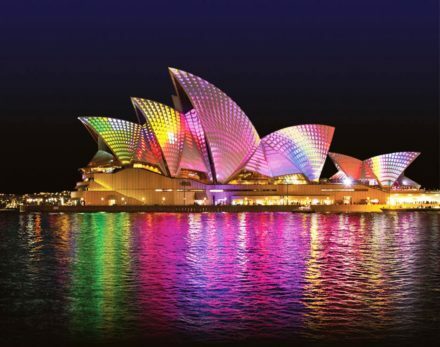 It was my first visit to Australia, to Sydney, and to see the Opera House like this, in front of me, it was really really, really amazing. I was stunned. It’s such a unique building. Next to the harbour, the botanical garden, the bay, it’s really awesome. We are so thrilled. Did you initially contact Vivid LIVE for this project? No, they contacted us. I think they happened to hear about our work, from someone they knew. And that’s how they contacted us. At first, we couldn’t believe it, such a wonderful project, and coming out of the blue. And they asked us if we were interested. The discussion continued and that’s how it all happened. Quite naturally, it’s great. Is this the first project you do overseas? No, we did other projects in Europe, in Spain, Germany, but it was in a private context, more commercial, commissions. It’s the first time we tackle something so big, something of this size. When you work, do you take the structure supporting your project into account or do you delve into pure creativity? We delve into creativity but we take the structure into account. It’s about remaining close to the structure of the building, that is really unique. To rely and lean on the structural lines, on the overall structure. Yes, even if there is creative freedom, with figurative or abstract images, we always respect the shape of the building. We never use it as a flat screen. Do you also take into account the surroundings, the fact that the Opera House is near the Botanical Gardens, the bay, near the water? Yes, the water too… very much so. It is part of the little stories that we tell, about the water and all things that surround the Opera House. Can you tell us a bit more about the images that you will use for your Sydney project? Or is it still a secret? We created most of the images we use. It was really pure animation. In fact, it’s a mixture of things: there are some actual shots and we also used 3D images; we worked with some images that we had. It’s the way we usually work, since we come from different backgrounds. We don’t only do 3D or animation. We try to mix the materials in order to tell a story. So, what is the story you want to tell in Sydney? For Sydney, there is going to be four main tableaux. One will be about the interpretation of the living and about the sea. The second will be much more architectural, we’ll play with the lines of the building, with its rhythm, its scale, and also with the colours. We’ll have a third section which will be more psychedelic, but the building will be interacting with the lines to give it another dimension. The fourth tableau will be a total transformation of the building. It will be more poetical. 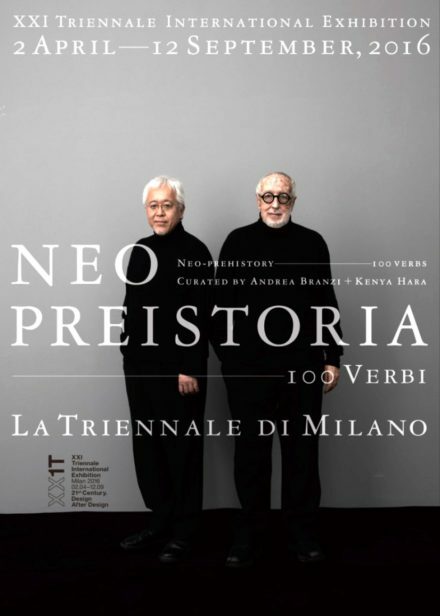 We want to keep the structure of the Opera but we want to change the perception of it, by changing our sensations. I don’t know if I make myself clear, it’s a bit difficult to explain in a few words. You have to see it. Will the projection of the four tableaux be looped? Yes, but the loops will vary, they’ll be combined. Some loops are longer and more peaceful, some are fast, short and rhythmic. So that we don’t get the feeling that we see the same thing every night. They will intertwine. So they’re not continuous loops running at regular intervals? The first day, there will be a variety of things and slowly the loops will start to intertwine. Your approach is different to the two previous Vivid LIVE projects. In 2009, Brian Eno chose beautiful static images; in 2010, Laurie Anderson played with the fluid movement of pastel shapes. We try to play with the structure of the Opera House, and to highlight it. The first thing we did, was to draw all the lines and brighten them up to highlight the materials and the colours of the building. 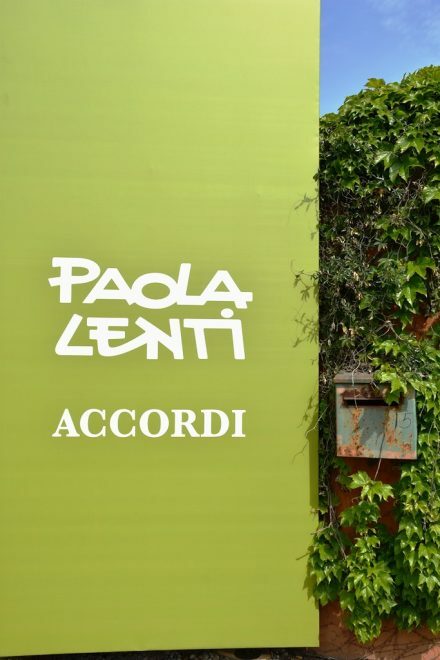 We play with the materials and the colours but we always remain close to the structure. You awaken the building, it becomes alive in a certain way. Yes, we awaken it. We awaken it and we reveal it. It’s so unique and atypical. It would be a pity not to use it. How are you projecting the images on the Opera? Where are the projectors? It’s the Australian company the Electric Canvas that is in charge of the projection. The images are projected from the other side of the bridge, from a distance of about 400m. We have eight projectors. 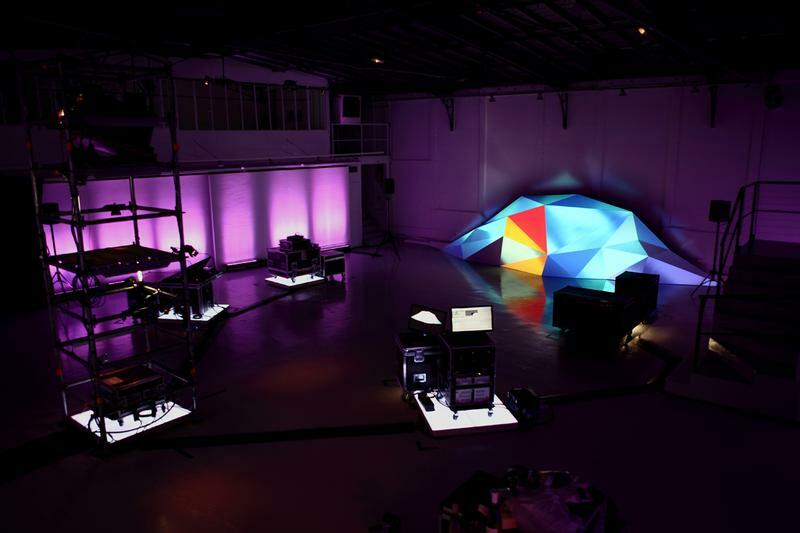 We work from photos of the location, taken from the projectors location. In fact we use them as the starting point so that we can match the shape of the building. In the end, we hand our files to the Electric Canvas and we go through a fine-tuning process to match exactly to the shape. You have to work very closely with the Electric Canvas? It’s a real partnership. The technical constraints are at the heart of the problem. We have to take these constraints into account when we do this sort of work. It is really a two-person job. Is this your standard approach then? With a technical team in charge of the projection? Of course. It’s something we enjoy. We often work with the same team in France. We have a good working relationship with them and we’ve become friends. We also try to develop new techniques in parallel. They use projection and deformation software. And we test them, we try to give some advice, to guide them. It is an important part. It couldn’t work otherwise. Technically, what is the most challenging aspect? The biggest challenge is in term of scale. It takes a long time to put in place because we use very large files; about 5,000 pixels in width and 2,000 in height. Straight away, this creates a very long calculation time. We use an image frequency of 50 images per second, which is double of what is usually used for videos. The challenge is to try to do what we like in the best possible way so that technically it isn’t too large and can be easily calculated. Do you think your approach is definitely French? Can we still speak of national signatures? No, it’s become harder. Maybe, you can still find a national identity in the typography. Since the rise of the Internet, access has been made easier and you can see so many things that borders are vanishing. There is absolutely no reference to French culture in our project for the Opera House. That’s the way we see it, anyway. Maybe with hindsight, people might be able to see something of that kind, but it wasn’t our initial intention. Where do you think SUPERBIEN will be in a few years? How do you think your work will evolve? I suppose it might evolve with changes in technology? Yes, with technology as well as 3D, holograms and all the technology applied to big scale performances. It’s quite exciting. In a few years? Oh, we’d like to work on other projects like this one. Maybe go to the most beautiful places around the world and project on them. It would really be great. We are so lucky to have a project like Vivid LIVE, to be able to travel, meet people and do things so unique and interesting. In 10 years time? I hope we’ll have the same pleasure and enjoyment working on our projects. You have recently completed the launch for Dior. What is your next project? 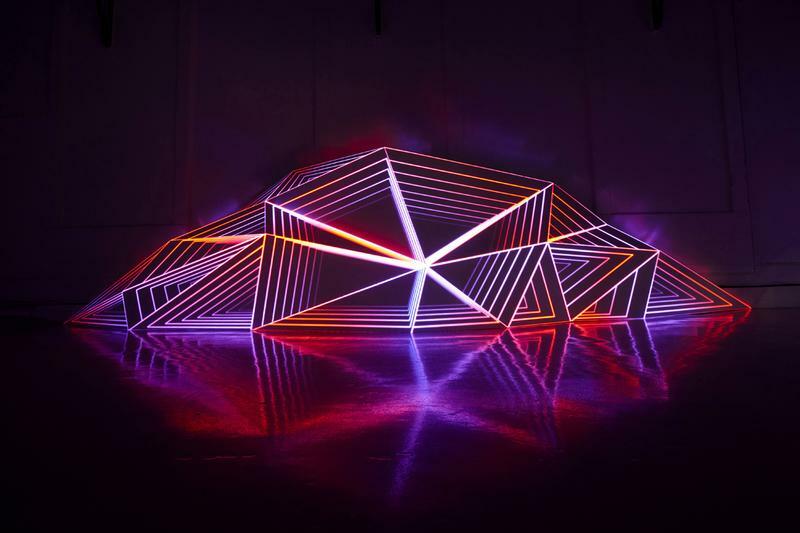 We’re working on another important video-mapping project which is interesting. It is in Paris, for Arena (a swimsuit company). It’s a projection that will be about water and swimming. It will be quite different because we will be extensively filming with swimmers in a pool. It’s really great. 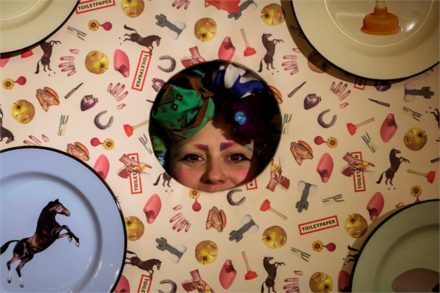 The Powerhouse Museum is co-producing the Sydney Design Festival, an annual signature event which brings to light ideas and designs, through exhibitions, programs and talks. This year, the topic is ‘Is Old New Again?’, in reference to practitioners marrying traditions and cutting edge technology and their use of reworking, recycling and reconfiguring. In your profession, is there a place for such an approach? It’s difficult to apply this approach to our projects. But on the other hand, it is something we like and we are interested in. The fact is that we work with images, something that is really ephemeral. We really try but we are within the digital world, we use computers and associated technologies. However, our source materials can be of any kind, it can be a drawing, a painting, even if it can’t be recognised in the end. We use all sorts of materials. In our area, the concept could apply to collaborations with designers, to finding new supports, new materials. Is there something else that you would like to say or let the Australian public know about you? We are so happy to come to Australia. I will arrive on the 23 May to check all the set-ups with the Electric Canvas team, and to be there should any problems with the files arise. And to enjoy the festival as well! Once everything is working properly, we’ll be able to relax and enjoy it more. What would you like to do while you’re in Sydney? I will stay in Australia for two weeks after the festival. I would like to visit the city because I only stayed for four days last time. It was very short, I didn’t get the time to visit Sydney. I would like to discover the city, the surroundings, the coast near Sydney, go inland, that’s it. I will let myself be guided by the people I meet. Yes, I do. I understand the language quite well. I can speak it but slowly. Since we work internationally, we have to speak English. But I need to get back into it. I think that after three weeks in Australia, it should be alright. I won’t be as rusty. Thank you for this interview, Tom. I am impatient to see your project at the Opera House. Yes, we are impatient too. Vivid Sydney is the largest light and music festival in the Southern Hemisphere, with over 500,000 people attending in 2012.